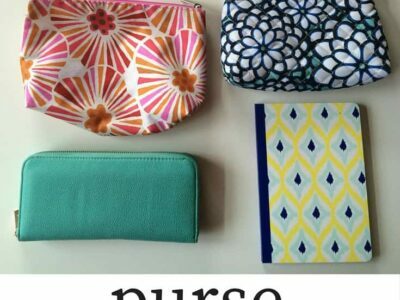 Do you switch purses a lot? 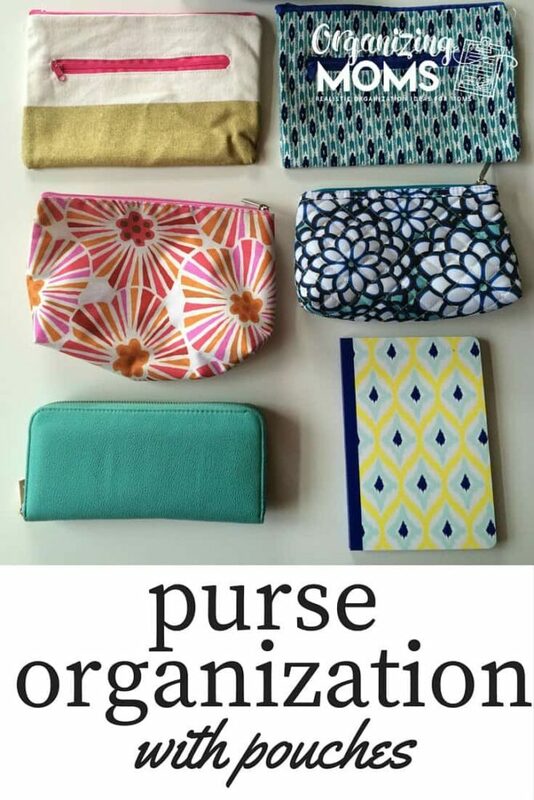 Are you looking for a flexible purse organization solution to help you keep everything neat? 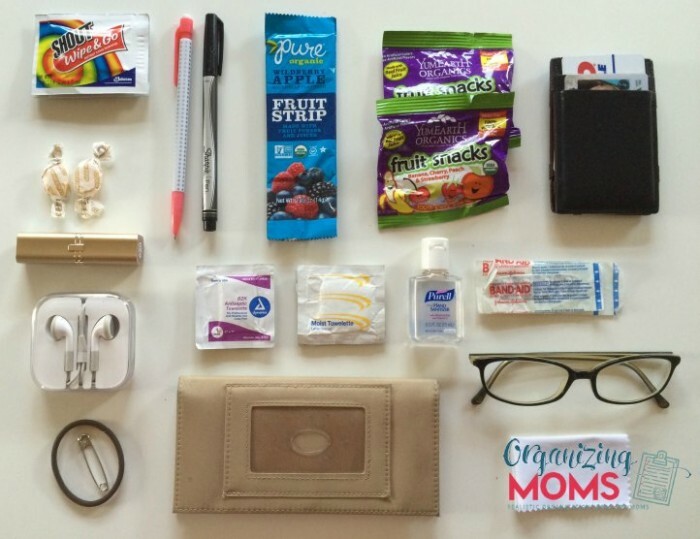 Whether your purse is small or humongous, keeping it organized and useable isn’t easy. 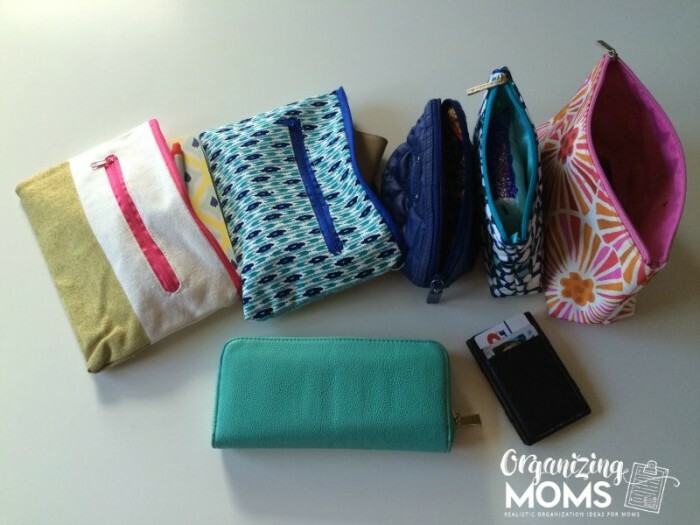 Even though we usually write about how to organize your home on Organizing Moms, having an organized purse can make everything so much easier. When you can find your keys, your wallet, and your phone without having to search around the house, it’s really nice! Since we outgrew the diaper bag phase, I haven’t taken a purse with me as much as I used to. I usually just put my cell phone and a magic wallet in my coat pockets. That way I can hold little hands when we’re crossing the street, and I’m free to carry coats, school projects, and backpacks – sometimes all at the same time! Although I don’t use my purse all the time, I realized that I needed to come up with a good system for organizing my purse contents. I was spending too much time gathering, moving, and re-organizing purse contents. I’ve always wanted to try a purse organizer that I could easily move from one purse to another. This might be a good solution if your bags are all similar in size. However, my purses are all different sizes, and I could never find one that would work for all of the random things I need to bring with me. The organizer would either be too big or too small for most of the bags I use. I decided to put all of the things I wanted to bring with me on a regular basis into different zip-up pouches. I’d seen a few purse organization with pouches ideas on Pinterest, and it seemed like something that would be flexible and easy-to-maintain. For pouches, I mostly used makeup bags that I had on hand, and I picked up a few from Target and Wal-Mart for about $3 each. There are a lot of cute pouches online too. Snacks – granola bars, gummies – whatever you or your kids would eat in a pinch! Hair care – comb, hair elastics, barrettes, etc. Pour out all of the contents of all of your purses. And backpacks, if you’re like me and use your backpack as a purse. De-trash your purses. 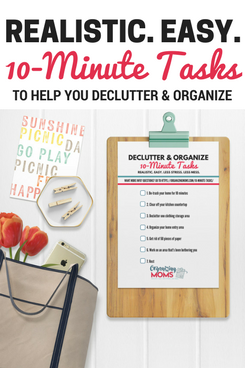 Throw out gum wrappers, receipts, and anything else that has been living in your purses for too long. Gather all of the items you’d like to carry with you in your purse. Categorize your items so you can store like-items together. If you have any additional items you want to have in your purse, gather them up. Put items into your pouches. Re-adjust if things don’t fit the first time. 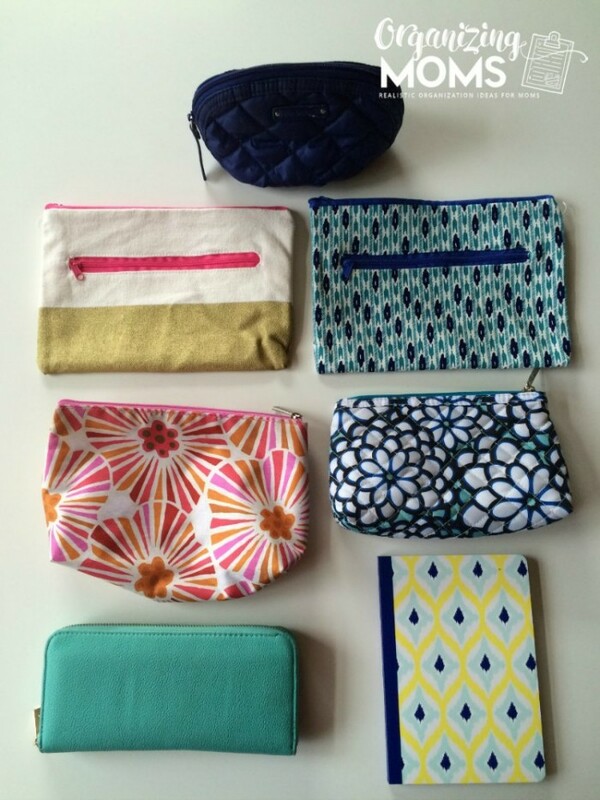 Put all of your pouches into your purse. Use your purse for a few days, and see how your new system works. Change things up if it’s not working for you. 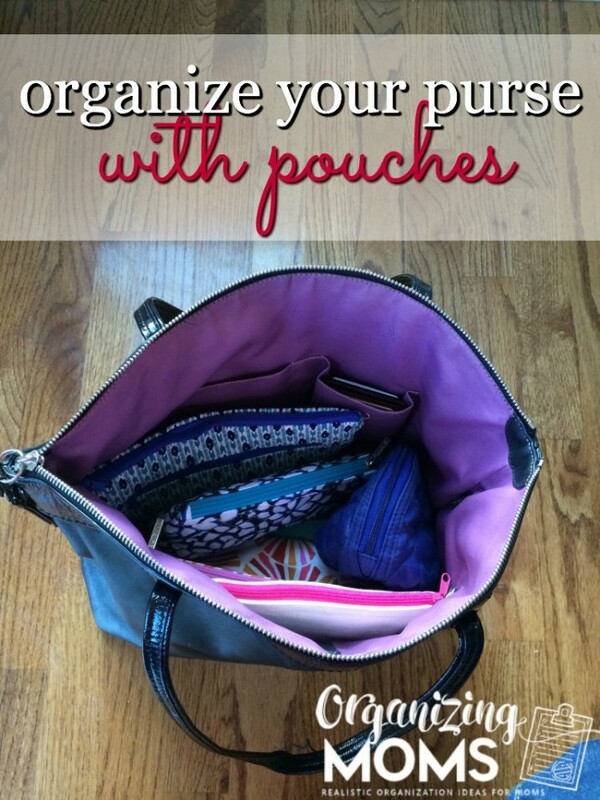 When you’re ready to change purses, just move your pouches from one purse to another. It did take me a while to learn which pouches stored which types of items. If you’re starting from scratch with your own purse organization project, you might want to consider using mesh bags that you could see through. That would cut down on the learning curve time while you get used to your new system. I’ve been using this system for a few weeks, and I’m happy to report that my purse is still neat! For me, that’s pretty incredible. To keep the purse neat, I’ve had to focus on putting things back into the right pouches. If I don’t have time to do that in the moment, I make time to do it once I’m back at home. When we clean out my sons’ backpacks, I also clean out my purse. I throw away little pieces of trash, and put away anything I need to keep. During the summer months when the kids aren’t in school, I might need to be more deliberate about taking time to de-trash my purse since I won’t have the backpack-cleaning as a reminder for me to clean out my purse. Do you have any great purse organization tips? Please share the with us in the comments!